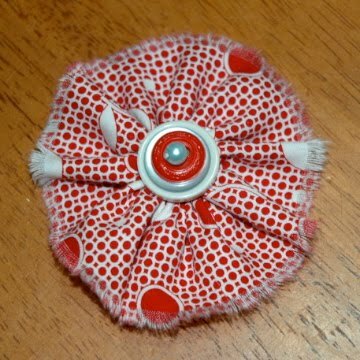 Another fabric flower that I made into a pin to wear. I just love it. you have been busy today-the flower is so cute! You will have to teach me the technique.